Photographing in the fog brings both positive and negative factors into play. Starting out with the positive: Fog can reduce contrast, making it easy to layer near and far subjects. When fog reduces contrast enough, it completely eliminates the view of objects beyond some distance. That can make a close subject stand out strongly, as illustrated with this image. Fog also provides a very even light on a subject. Perhaps the biggest fog downside I regularly encounter is the difficulty of locating subjects. If they are not able to be seen, they are not able to be photographed. Also, fog blocks a lot of light, often making the scene very dark. 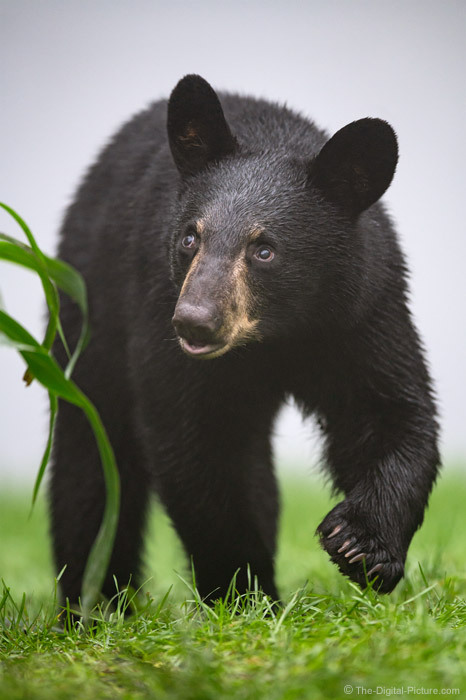 The black bear cub in this image was coming around stalks of corn, following its mother. The glance upward toward the mother bear was nicely timed with a paw in the air. You know that bonus points are awarded for each paw/hoof/foot captured in the air, right? All four off the ground is usually the ultimate capture. Depending on the distance to the subject, the density of the fog and your desired look for the final image, contrast, clarity and/or dehaze post processing adjustments will likely be found welcomed for your in-the-fog captures. Also note that circular polarizer filters act as fog erasers and can be a huge advantage for cutting the effects of fog during capture. Fog or not, it is hard to go wrong with the cuteness of a little black bear cub in the frame.